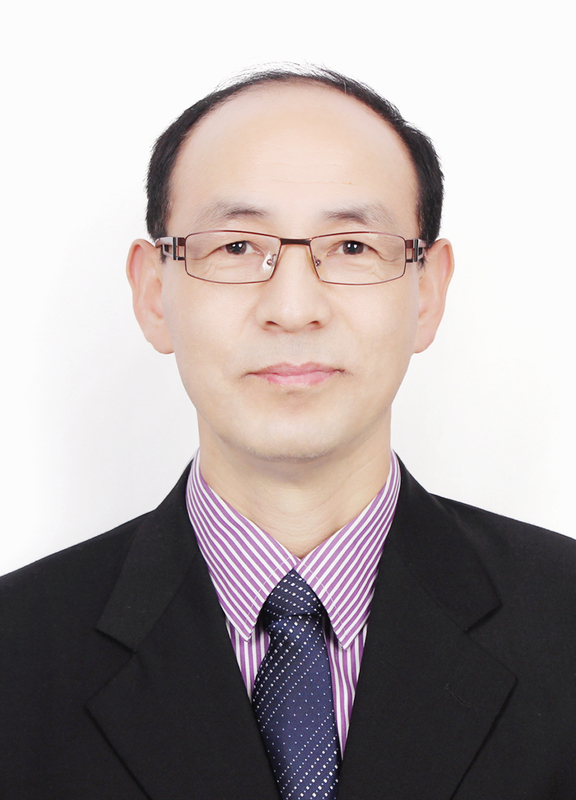 Dr Lawrence Jun Zhang is Professor of Linguistics-in-Education (Applied Linguistics & TESOL) in the School of Curriculum and Pedagogy and Associate Dean (AD) International Partnerships for the Faculty of Education and Social Work. His research programme spans cognitive, linguistic, sociocultural and developmental factors in reading/ biliteracy development, critical reading awareness in language education, metacognition, self-regulated learning (SRL) and reading development in L1 and L2 contexts, bilingual/ biliteracy acquisition and bilingual/ biliteracy education in primary and secondary schools, and learning and teaching English as a second/foreign language at university settings, the effects of self-regulated reading and writing instruction on bilingual/ biliteracy development, and teacher identity and cognition in language teacher education. As one of the leading scholars in the field of TESOL, he has served the profession as an editorial board member for several international SSCI-indexed journals, including TESOL Quarterly (Wiley), System: An International Journal of Educational Technology and Applied Linguistics (Elsevier), Applied Linguistics Review (de Gruyter), Metacognition and Learning (Springer), and Journal of Second Language Writing (Elsevier), as well as other international journals of repute. He has also been a frequently invited manuscript reviewer for leading journals in the field: Reading Research Quarterly, Review of Educational Research, Journal of Multilingual and Multicultural Development, Applied Linguistics, Modern Language Journal, Language Learning, Language Teaching, Foreign Language Annals, English for Specific Purposes, Instructional Science, Research Papers in Education, Reading and Writing: An Interdisciplinary Journal, Asia Pacific Education Researcher, Asia Pacific Journal of Education, Language Teaching Research, European Journal of Psychology of Education, International Journal of Qualitative Studies in Education, Journal of Early Childhood Literacy, Journal of Teacher Education, and Educational Psychology: An International Journal of Experimental Educational Psychology, Language, Culture & Curriculum, Language Assessment Quarterly, and Assessing Writing, among others. Q：Could you please give us a brief introduction to your journal, including main columns and feature columns? Prof. Zhang & Prof. Gao: The System journal is devoted to the applications of educational technology and applied linguistics to problems of foreign language teaching and learning. Attention is paid to all languages and to problems associated with the study and teaching of English as a second or foreign language. We publish full length articles and book reviews but we do not have columns. For details, please visit https://www.journals.elsevier.com/system. Q：Does your journal have recent plans for a feature column or articles? Prof. Zhang & Prof. Gao: We do not have plans for a feature column or articles. We do have special issues that have already been planned. The most recent one will be on study abroad. There will be another one on language teacher agency. We also have virtual special issues periodically, which consist of a selection of published articles on particular themes. Those articles will be accessible for free for a certain period of time. Q：Do you have a preference on empirical papers or reviews? Prof. Zhang & Prof. Gao: We publish more empirical papers, but we also welcome reviews, including conceptual, systemic and methodological reviews, which have important messages for researchers. Whichever category of papers we are talking about here, the most important things to consider are the currency of the topics, particularly with reference to the contribution to the discipline or the field of applied linguistics. Q：Could you please give us a brief introduction to the review procedures of your journal? Prof. Zhang & Prof. Gao: When we receive a manuscript, we will follow the procedures to process it. First of all, the manuscript will go through a technical check to ensure that the manuscript has been properly anonymized, does not exceed the word limit (i.e. 7,000 words, for the first submission) and nor contain materials without proper citation. Second, the manuscript will be assigned to editors after the technical check for initial screening. Two editors will read the manuscript and decide whether it should be sent out for review. The initial screening will be complete within 2 weeks. Around 80% manuscripts are desk rejected after the initial screening. Third, if the manuscript survives the initial screening, it will be sent out for review. We will ask at least 2 experts to review it. It usually takes another 3 months to have the reviews returned. In case of split reviews, more time is needed to secure a third opinion. If the manuscript survives the review process, the authors will be usually asked to revise and resubmit. Then, a second round of review will be undertaken to ensure that the revision meets the reviewers’ expectations. Fourth, if the manuscript survives the review process, it will be then read by one of the editors to decide whether it could be published or not. It does happen that the editors may reject a manuscript at this stage but in most cases, the editors will ask the authors for further changes to improve the quality of this manuscript before acceptance. Fifth, the accepted manuscript will be sent to the production department for publication. Q：How long does it take to get an article published (if no revision needed), i.e. from submission to the final print? How does the editorial board decide the order of publication when the articles are accepted? Prof. Zhang & Prof. Gao: It takes about 50 weeks to get a manuscript accepted and published. As mentioned earlier, editors reserve the right to reject or accept any manuscripts. We editors take our professional responsibility very seriously. The accepted papers are arranged by the production team according to the availability of space in each issue/volume. Most often the order in which accepted papers are arranged is dependent upon the date when the accepted papers are ready for inclusion in that issue/volume. There is no other specific consideration given that System is no longer confined to the limited pages that print journals always have to abide by. Q：How can young researchers without senior titles and doctorates successfully publish their first article? Could you give them some advice? Prof. Zhang & Prof. Gao: Our authors have a variety of academic and professional backgrounds. The System journal is always proud of being one that publishes junior scholars’ major research articles. Professor Jim Coleman, our former editor, has given excellent advice for aspiring authors in his article ‘How to get published in English: Advice from the outgoing Editor-in-Chief’. : https://www.sciencedirect.com/science/article/pii/S0346251X14000116. Junior scholars who intend to submit their work to System might want to read it closely for a better success rate of acceptance. Q：Do you have any advice for young researchers in following the newest development or future trend in a certain field? Prof. Zhang & Prof. Gao: We strongly suggest that researchers follow closely what has been published in System and other applied linguistics journals. We also encourage them to attend conferences and socialize with various researchers so that they can learn about what has been done on particular topics. Frequently reading top journals in the field, including System, will give all potential authors a rather accurate estimation about the currency of their research topics. Q：Do you have any advice for young researchers to be original? Prof. Zhang & Prof. Gao: We understand that it is hard for us to be original in research. Almost all the viable topics have been researched on. For this reason, we suggest that young researchers be critical when reading the relevant literature on particular topics. They need to evaluate what has been published and identify controversies in the relevant studies. If a significant problem without clear answers can be addressed somehow by your research, then your research is publishable. Again, the anonymous manuscript reviewing process is a strong mechanism that helps our journal in many ways to ascertain that the papers finally published are ones that are current, or original. Q：Would the articles on unfamiliar fields be easier to get accepted? Prof. Zhang & Prof. Gao: I do not think so. We publish articles that address significant knowledge gaps in the field. Very narrowly focused studies in linguistics, for example, will not be able to attract interest in them among our large readership based. So we will not consider such manuscripts. Q：From what aspects does the editorial board evaluate the academic value of a topic? Prof. Zhang & Prof. Gao: We always ask whether a manuscript addresses significant knowledge gaps in the field, whether the relevant methodology is sound and rigorous, as well as whether it is accessibly written to meet the professional needs of the journal’s internationally diverse readership. Q：Does your journal hire part-time reviewers? How do you advise young teachers to apply for part-time reviewers? Prof. Zhang & Prof. Gao: We always rely on voluntary peer reviewers. If any young teachers are interested in reviewing for us, they can just send us emails with CVs. If they have published in System or equivalent journals, we would love to have them as reviewers for our journal. Different from reviewers for journals in China, reviewers do the review as a professional service and is not given any remuneration in financial terms. So their readiness to volunteer their service to our journal is usually “paid off” because of the privilege they have of reading new research papers in the field so that they keep abreast of what is current and happening. Q：Any other advice for young researchers who is interested in submitting papers to your journal? Prof. Zhang & Prof. Gao: The System journal has received 900 submissions this year. The entire process is getting increasingly competitive by virtue of the large numbers of submissions. Therefore, it is important for young researchers to send the best manuscripts to us for possible consideration. The topic of your paper should show some degree of originality, either in its research design, sample size, theoretical framework, or methodological innovation, among other things. Only high quality papers have a better chance for revision and resubmission, with the possibility of eventually getting published in System. Equally importantly, write your paper diligently and before submission do a thorough proof-reading to ensure that all mechanic errors are removed at least so that your reviewers will be more positive to your work.